Online & Mobile Social Game which teaches children 8-12 about nature, wildlife, climate change & sustainability in a playful manner. Perfect Earth is a fun and engaging online game that teaches children about the impact of their actions on the environment. Players of the game create their own avatar and navigate through a virtual Amazon Rainforest. They gradually discover and learn about many different animals and what is threatening their existence in real life. We also teach players to think cradle-to-cradle. They collect trash in the rainforest and recycle it into cool virtual items that they decorate their tree house with in the game. We will have players go on quests to grow healthy food, find a water source, generate renewable energy, calculate their own footprint and so on. Players can go on even larger missions to help clean up a virtual oil spill, reforest the rainforest, or free animals from poacher’s traps. Friends can complete missions together. The game is super social that way. We are introducing a mobile extension to the game that lets players earn virtual rewards by being active outdoors and participating in real life quests. The game will not feature any advertising, and has a freemium business model. So all players can play for free, and we expect some 2% to purchase a premium game membership. That’s enough for us to run a healthy sustainable business. We will also distribute the game membership with sustainable products and services of partners, motivating players and their parents to do the right thing, and therewith creating direct impact. Perfect Earth is a new green-themed online & mobile social game targeted at boys and girls in the ages 8-12. It teaches the players about the impact of their actions on the environment and about the benefits of adopting a sustainable life-style. Our mission is to make available fun and engaging concepts of play to create awareness for environmental issues amongst a maximum amount of children, because we believe we can make a major positive impact in tomorrow's natural environment by educating youth on the importance of natural resources and sustainable living. Perfect Earth is a ‘social game meets virtual world’ type of environment and has a so-called freemium business model, allowing all children to play for free, however providing a premium game membership against payment. 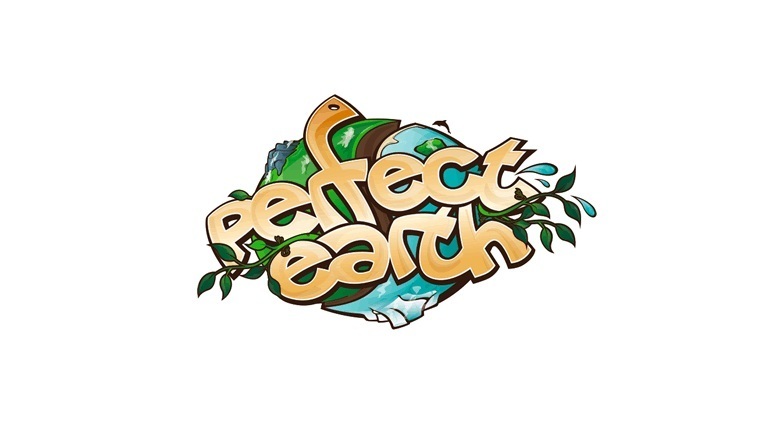 Perfect Earth chooses to provide engaging entertainment with embedded ‘green’ messages, rather than pure education. We feel the players will be more open to the embedded messages if they are represented by organic elements in the game play, rather than forced upon them as rules and requirements. Perfect Earth will rely greatly on earned and owned media for exposure. Perfect Earth plans to market her game via mass media partnerships, social media integration, viral tools and third party distribution (premium gift on physical products and services). 1. B2C Premium Game Membership sales. Our expectation is that 2% of the active players will spend an average of € 4,50 per month on the premium membership. 2. B2B (bluk) Premium Game Membership sales. We expect relevant businesses to bulk purchase the monthly membership at € 0,15, which is 3% of the consumer price. The bulk distribution is anticipated to become one of the main user acquisition channels of Perfect Earth, even if we expect only 5% of the distributed codes to be activated by players. 3. Licensing of Perfect Earth (having third party publishing agreements for Perfect Earth in markets that we do not intend to conquer ourselves). Perfect Earth will be launched in three phases. The first phase concerns development of a fully functional virtual world of limited size. All features and functionality will be available, but the content will be limited. The virtual world will have several connected spaces that the player can navigate through and players will be able to create an avatar and decorate their own personal space. The virtual item catalogue will feature a selection of items for players to purchase. In phase 2, we will add a serious amount of content, in an attempt to stretch the user lifetime and deepen the user experience to attract a larger player base. The virtual world grows in size, quests are added, the catalogue expands, etc. We will also add the mobile extension, so that we increase the contact frequency with players and the overall stickiness of the game. Phase 3 starts when we reach a point where the monthly content production stabilizes and where the focus shifts towards extending the language selection available to players, so we can grow into new markets. Throughout its development, Perfect Earth will have a so-called freemium business model, allowing all to play for free, but providing a premium game experience within a subscription. We expect to generate €700K of revenue in the first 12 months after launch of Perfect Earth. After all costs are deducted, this leaves a negative result of -€121K. The revenue in the second year grows to nearly €2,3M whilst costs increase to nearly €2,1M, leaving some €150K as a net result. In the third full year of operation (2015), the net result more than quadrupled to €640K, as revenue grows to €4,0M. At the end of year 3, the monthly bottom line (€82K) represents just over 20% of the revenue in that same month (€397K). A total of € 160K is required to cover all costs of development up to the point of launch and the cost of maintenance for the first six months following the launch (phase 1). All development will be outsourced, in an attempt to keep the operation light and agile for phase 2. At the end of 2012, we will have an attractive commercial product that we will showcase to select investors for funding of phase 2. While the funding of phase 2 is being arranged, the product will be kept live, so we can learn from player’s reactions and monitor the traction. We plan to have a window of 6 months for closing the second phase funding. This round is necessary to grow the content in the game and the length of the user experience. 10% of the equity is available via crowd funding. The crowd funding target is € 80.000, but individuals and companies can invest as little as €20 to own part of the business. Every share that is sold via crowd funding comes with one life-time premium membership to Perfect Earth (granted the crowd funding project is successful). A nice present for the next birthday party of any youngster between 8-12, as it represents a value of nearly €50 per year.